In Windows 7, Creating of Ad-Hoc network was very easy. 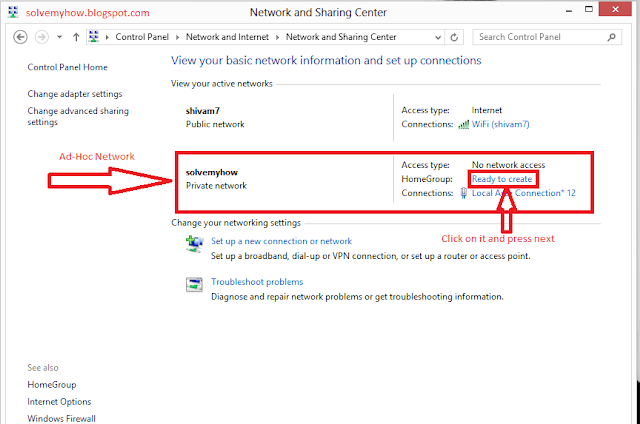 You just have to go to Network and Sharing >> Create Ad-Hoc Network. That's it you're done. But as you know this functionality isn't available for Windows 8 or windows 8.1 and that's also doesn't mean that creating Ad-Hoc in Windows 8 and 8.1 is not possible. So, How to Create Ad-Hoc in Windows 8 and 8.1 ? Well this is possible via Command Prompt. 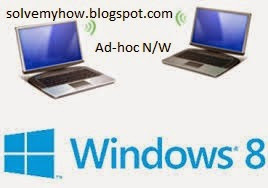 Just Follow the basic Steps to Create Ad-Hoc in Windows 8 and 8.1 . Step 1 :- Press Windows Key + Q to open app search in Windows 8. 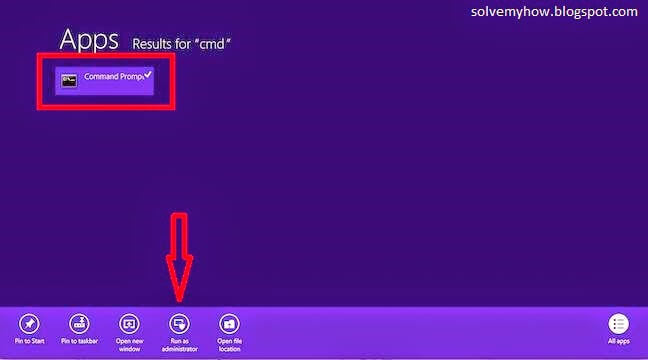 Step 2 :- Type "cmd" in search box and Right Click on it >> Run as administrator. Now, it will open "User Control Access" dialog Box. Just Click Yes. 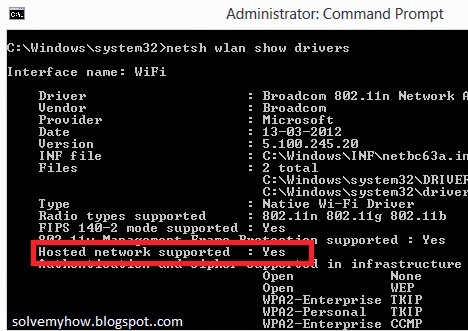 In case if it says no then you need to update network adapter's drivers. Step 4 :- Enter the Following command and this will create your Ad-hoc Connection. Then, press Enter. you will receive the output as the Hosted Network mode has been set to allow. Note :- You can set your own "SSID" and "KEY". Key will work as Password of your Ad-Hoc Network. You will receive the message like "The Hosted Network Started" . 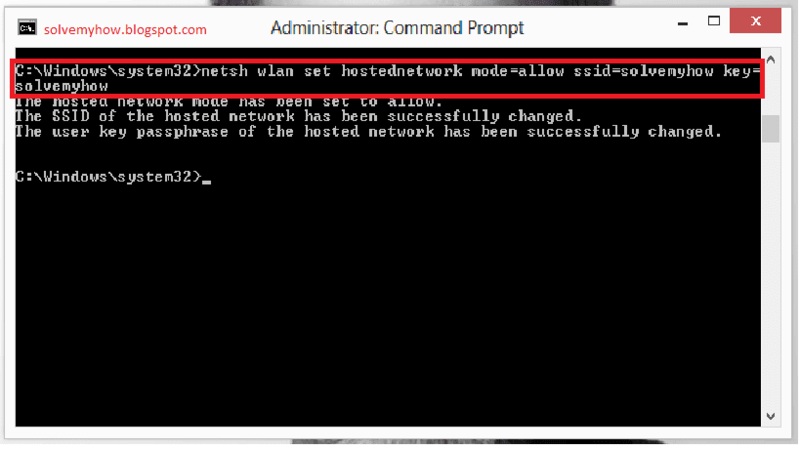 Step 6 :- To see whether the Ad-Hoc Network is Created or not. Just go to >> Network and Sharing Center. Now you can easily create Ad-Hoc in windows 8 and 8.1 and play LAN games like NFS, Counter Strike (My Favorite) etc. So, this will stop your Ad-Hoc Network. hi... why does the ad hoc network disappear after my pc restarts ? Can you please tell me the more details about your PC ! Hi... Mine is Windows 10 . this adhoc is disappearing whenever my laptop is restarted . Can you help me to solve the issue??? Yes recently heard that there are lot of bugs in windows 10. Is your windows 10 is genuine version ? + You can try to create with the same method as were did in windows 8. Please do let me know if you are facing any more issues. Yeah I am using genuine version of windows 10. The problem is not making the connection.. It gets turned off whenever i restart or shutdown the laptop. 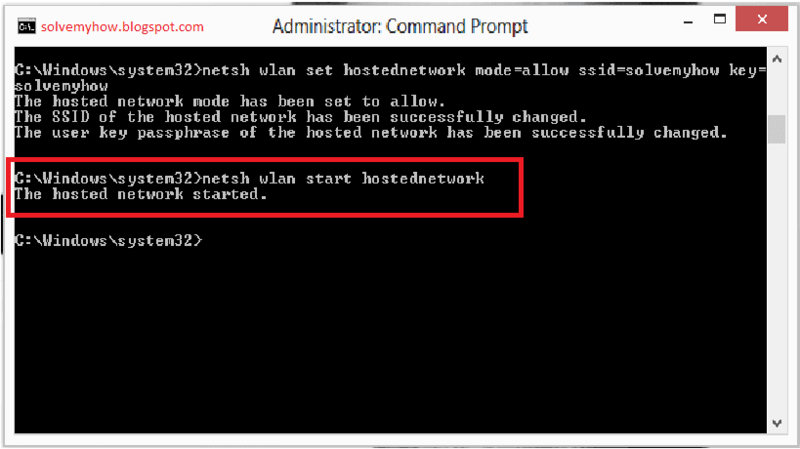 Again I have to switch on using the netsh command. Is there any way of getting out from such restarting ??? I guess there is no solution. You again have to re-establish your ad-hoc n/w. Because whenever you shutdown or restart windows all previous opened programs are turned off. So, in that case you may make one .exe file in notepad by writing all the commands once. So, you don't required to write it again and again in cmd. After creating it you just have to click on it and ad-hoc will be created automatically.